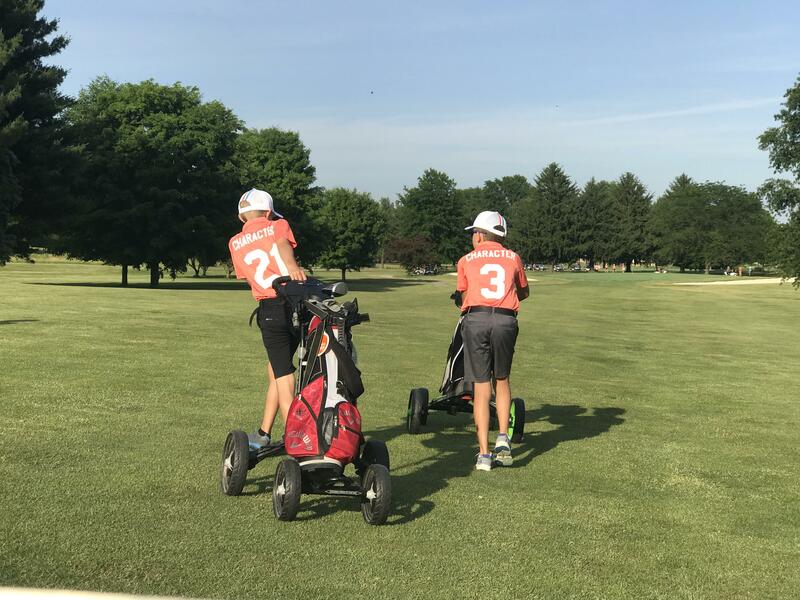 The 2019 Conditions of Play handbook includes an overview of the PGA Jr. League format and rules of play, as well as common situations and frequently asked questions. While it is recommended that players familiarize themselves with the Conditions of Play during the regular season, these are not enforced until postseason play begins. Click the button below to view the 2019 Conditions of Play. At its core, PGA Jr. League is a group of local golf teams who play a series of games against each other, utilizing a nurturing and social scramble format. The program is available to boys and girls of all skill levels. PGA and LPGA Professionals exclusively serve as Captains and are responsible for creating a welcoming environment for all that encourages skill and character development. How does PGA Jr. League work? Watch this short video to see PGA Jr. League Captain Sara Stephens, PGA, of The Stephens Golf Academy, explain the PGA Jr. League format! While the format and key pillars of PGA Jr. League apply to all teams and leagues across the country, the program is organized at the local level by individual PGA and LPGA Professionals in your community. As such, the way in which each league or team operates - whether it be the number of teams in a league, the scheduling of games or the number of practices - may vary slightly from team to team. Registration for your local team or league typically takes place between January through April. The regular season of PGA Jr. League occurs between March 1 and July 31. For those players that advance to the PGA Jr. League Postseason presented by National Car Rental, those events begin in August. Depending on the number of teams in your local league, your regular season games can take place at any point between March and July. For information specific to your regular season schedule, please consult with your Captain. A league will typically have between four to seven teams and may consist of teams from just one facility or teams from a collection of facilities. Friends, family and spectators are encouraged to attend and watch - but not participate or aide - each game! A scramble is a popular format that encourages teamwork and problem solving. Its nurturing nature creates a fun environment where the negative effect of performance errors is minimized. Each player will tee off at the beginning of each hole. The team then selects their best shot of the two and then each player plays again from the spot of the selected shot. Repeat this process until the ball is in the hole. The team with the lowest score wins the hole. Since there are four matches in each game, and each match is played for a maximum of three points, there are a maximum of 12 points total in each game. Each PGA Jr. League team or league is Captained by a PGA or LPGA Professional! These golf professionals are uniquely positioned to create an inviting and welcoming environment for all to enjoy the game of golf. They also provide critical instruction to help young participants advance both their golf skill and character development - on and off course. A team is a collection of eight to twelve players, boys and girls of any ability, who work together during the course of a game against another team. Each team is Captained and instructed by a PGA or LPGA Professional and may have the assistance of a parent volunteer or coach to help with the administration of team business. Two players from each team compete against each other in a "Match"
Due to PGA Jr. League's recreational nature, every player on the team is encouraged to participate. While each match is only actively played by two players from each team at any given time, the team Captain may substitute a third player into the match at the start of any flag. When the player is not one of the two active players in his or her team's match, they can still play an integral role in the success of their team by reading putts, discussing strategy, tending the flagstick and aiding pace-of-play. At no time should a substitute ever feel left out of the team's efforts!